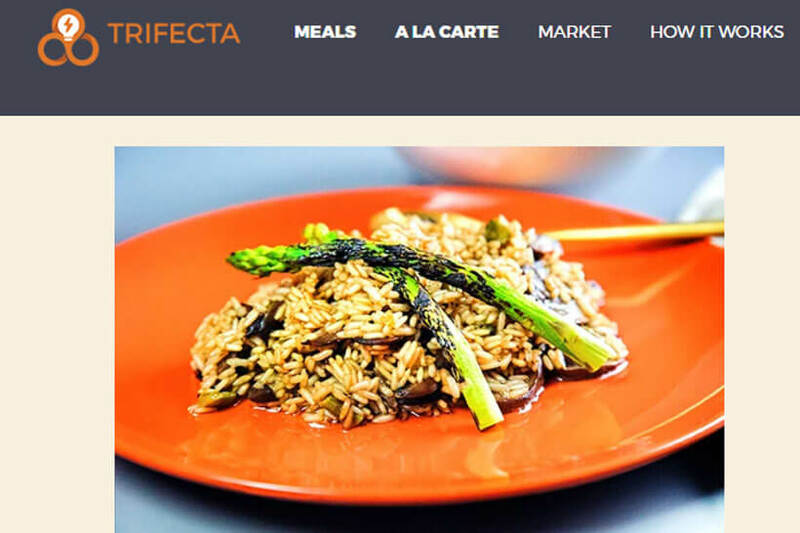 Trifecta Nutrition features an excellent vegan menu that can help you eat a healthy, well-balanced diet and enjoy the finest vegan meals totally hassle-free. Trifecta Nutrition is an excellent subscription box service that offers you great breakfast, lunch, and dinner options for as many days of the week as you want. The greatest advantage of Trifecta Nutrition is its flexibility. It gives you an opportunity to choose the number of meals you get, the number of dishes you want to receive, whether you want them fully cooked or just par-cooked, etc. In a nutshell, you can tailor your order however you want and receive shipments as often as you want. Every vegan who takes care of his/her diet will be happy to learn that Trifecta Nutrition pays close attention to the quality of the ingredients its chefs use when cooking for you. Every meal from its vegan menu is 100% organic, non-GMO, soy-free, gluten-free, and dairy-free. With Trifecta Nutrition, you can rest assured that you get all the necessary nutrients you need on a daily basis. The Trifecta Nutrition vegan menu is created in cooperation with professional chefs and nutritionists and therefore made to perfectly fit the dietary needs of a grown-up. In case you suffer from some allergies or have special food requirements, you can let the company know what types of food you’d like to avoid. Unlike the majority of meal deliveries and subscription box services, Trifecta Nutrition offers you vegan dishes for all your meals throughout the week. You don’t have to buy groceries or prepare meals, as the professionals from Trifecta Nutrition can take care of your diet. You can browse through the Trifecta Nutrition vegan menu and choose the dishes you’d like to try this week. You can start your day with a bowl of delicious chia pudding, sumptuous muffin or hearty granola. 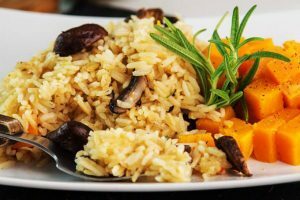 You can order tasty cauliflower cranberry pilaf or exotic garlic asparagus quinoa for lunch and teriyaki style rice bowl or rainbow lasagna delight for dinner. In case you crave something sweet, add a serving of fresh mango or cantaloupe from the menu and enrich your Trifecta Nutrition order. For any additional info about Trifecta Nutrition, check out our detailed Trifecta Nutrition review.